We all know what Converse Chuck Taylors look like. Chances are if you’re reading this, you’ve probably owned a pair. Heck, you may currently have the kicks stashed in your closet or on your feet right now. But unfortunately for the storied sneaker brand, lots of retailers have been going unchecked copying the style of its famed shoe. Think about it. How many times have you gone to Walmart or Fashion Bug and picked up a pair of off-brand sneakers thinking they were Chucks? We’re willing to bet it’s happened a lot. And the people at Converse have just about had it. 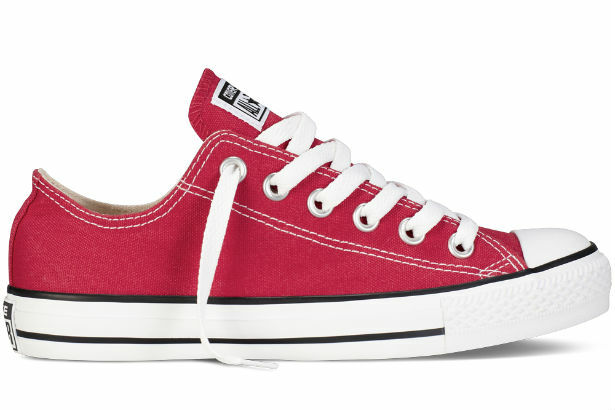 The New York Times reports that Converse has filed a lawsuit against 31 retailers claiming trademark infringement over the famous Chuck Taylors. Converse says that for too long, retailers have been peddling shoes that look far too similar to its own. Skechers, Walmart and Kmart are among the brands accused of copying the design. According to Converse’s lawyers, the company has written 160 cease-and-desist letters to a variety of brands, which have used the shoe’s signature rubber toe cap and stripes bordering the sole. It is these features that Converse says have been knocked off by several retailers and is causing brand confusion. It’s also appealing to the International Trade Commission to make it illegal for such knockoffs to make it to American shores.